To build a legacy in the custom automotive industry through high quality innovative products, design and fabrication. What makes Legacy Innovations (Li) so special? It’s the Legacy Team – with individual standout talent, our team members are among the best in the industry. 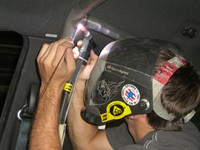 Each team member performs at the top of their trade speciality. Our customers expect quality results and that is what our team consistently delivers. With over 10 years building award winning cars Troy’s blend of experience and ability to design based on customer requests allows him to build unique vehicles that are not only prized by their owners but draw accolades of spectators and judges. Troy started Legacy Innovations in 2006 in response to a need in the industry for a full service facility for custom, rare, unique and exotic vehicles. 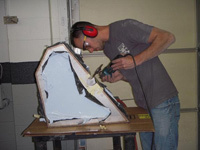 Travis is responsible for all functions in the paint and body shop. His high standards and conscientious attention to detail are the perfect complement to our high caliber projects and the Li customer expectations. Paint jobs out of Li are consistently award winning and the talk of many shows, thanks to Travis and his team’s excruciating attention to detail and high standards.